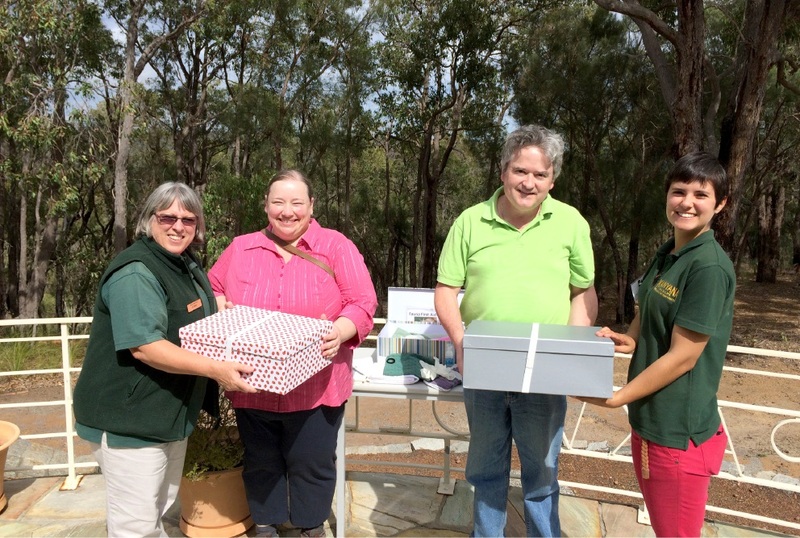 Kanyana volunteers Amanda and Ian Genge receiving rescue boxes from trainers Christine Todd and Lara Osborne. Kanyana Wildlife delivered the wildlife rescue training program, funded by the shire, and invited others interested in the training to attend its Discover Kanyana Day on May 1 from 10am to 4pm. “Training our community and staff in safe and effective methods for rescuing injured wildlife is essential in saving the lives of injured animals,” shire chief executive Rhonda Hardy said. “Last year, the fantastic team at Kanyana treated over 3000 animals and this number is certainly going to grow. “Having more people able to safely rescue injured wildlife will help Kanyana save even more animals in the future. Volunteer Amanda Genge did the training on April 16. “The workshop certainly was fun, helpful and educational,” she said. Training participants received a box of equipment to keep in their vehicles, in the event they come across injured wildlife. The rescue boxes contain equipment – gloves, blankets, scissors and hand-cleaner – needed to keep both the animals and the rescuers safe. Call 9291 3900, email info@kanyanawildlife.org.au or visit www.kanyanawildlife.org.au.